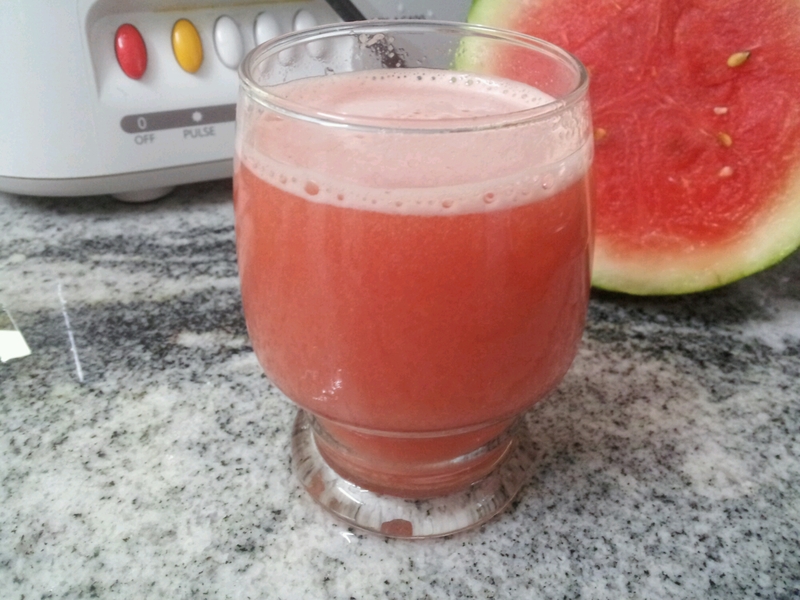 One Sweet lime and 2 cups of watermelon pieces will make one glass of juice. Juice the watermelon first and then juice the pieces of sweetlime. A little water can be added in between. The white layer around the sweetlime is full of antioxidants so don’t discard it conpletely. Sugar can be eliminated or just add half a spoonful. 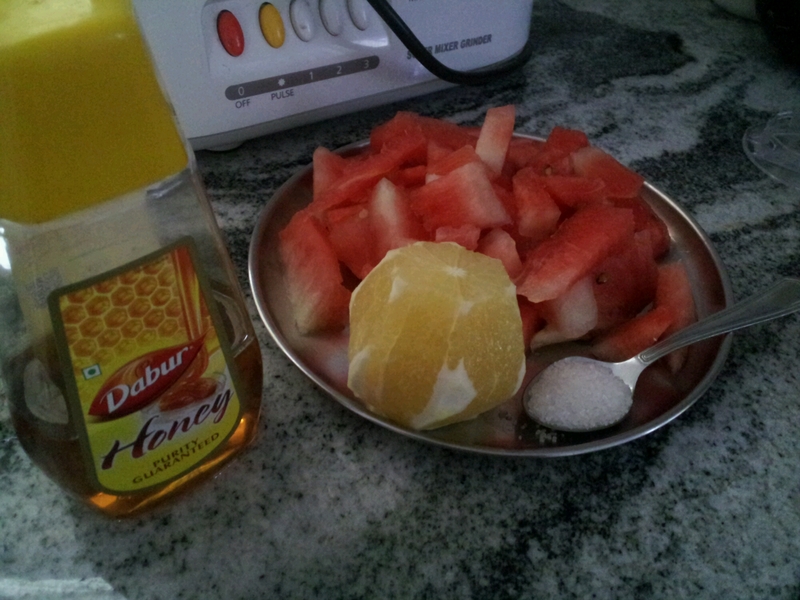 A spoon of honey can be added and is optional. I love the colour of watermelon.